How nice it is to go to the garage, open the door and see it moving smoothly without stopping mid-way or making these awful noises. Think of how stressful it is to be in a hurry to get the car out and see the door get stuck! Definitely an unpleasant situation.Think about when was the last time you checked the system. Well-maintained doors do not jam unless you hit them with your car the very next minute. In this case, all you have to do is fix the damaged garage door tracks. In a different case, stop praying that the door will open today and take some action before it makes your life difficult. Since the overhead door moves on tracks, anything obstructing the rollers from moving will cause jamming. Apart from dents, search for other obstructions – like brooms, debris or tools. You must also make sure the tracks are well fastened. If they are loose and vibrate, they actually lose their initial position. In this case, the garage door rollers cannot move in their usual route and get jammed. Cables cause similar problems because they actually pull and lower the door as they wrap and unwrap on the drum. If they get loose or damaged and come off the drum, the door will just jam at one side and remain like that till the problem is fixed. Pulleys cause jamming when their bolts get loose,split in two or break. Since they are vital parts of the cable and extension springs system, they will stop the door from moving. In any of these cases, all you will have is a terrible headache. With the door jammed, you won't be able to drive in and out or even approach the door because it might be a safety hazard. 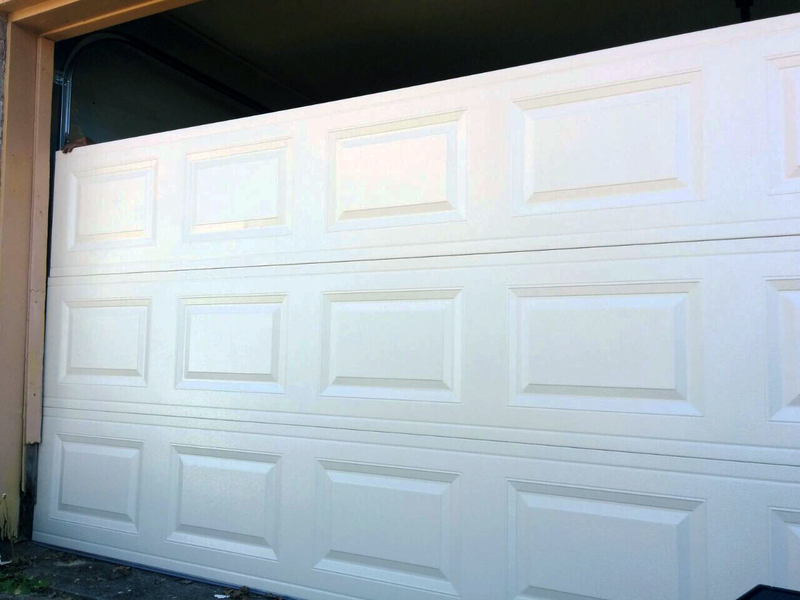 The good news is that you now know what causes the door to jam and can keep your mind on these garage door parts which might get you in trouble. By keeping them well maintained, checked and repaired if they start showing signs of malfunctioning, you will avoid door jamming and have peace of mind.